Suge Knight is attempting to get out of jail to attend his mother's funeral. Knight's mother, Maxine Chatman, passed away Sunday at a hospital in Paramount, CA at the age of 77. She suffered various health problems including a stroke, lung collapse, and kidney failure. According to TMZ, the L.A. County Sheriff's Department says he will not get a "get out of jail free" card to attend any events. The reason Suge won't get an exception to attend his mother's funeral is because homicide suspects are ineligible inmates to leave jail. 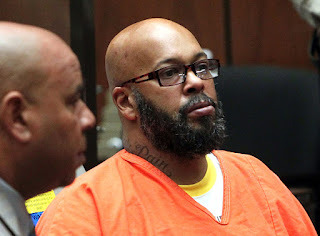 Suge is still in jail awaiting trial for murder.